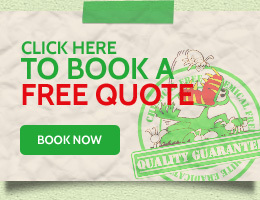 Termite Free Naturally is a family owned and operated business providing S.A. with termite prevention and eradication services since 1995. 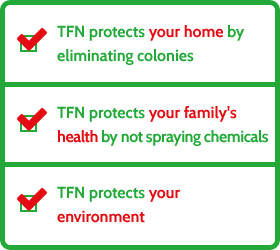 With over 30 years of combined experience, TFN can offer you termite treatment and protection guaranteed totally chemical free. Check out our information pages to find out more on how TFN can help you! “After discovering that white ants were destroying our floorboards and a number of doorways in our home, we contacted three conventional businesses for advice and quotes on the appropriate treatment. We were quoted $3,000 for the sentricon system which led us to inquire further and it was suggested we discuss our problems with SA Pest Free Naturally. Robert Cameron was quick to respond and we had a confidence in him that we did not have with other companies. He injected nematodes into the affected areas which destroyed the white ants within a matter of days and he also set up nematerm lures in the garden and two bait boxes to track down the nest. He kept a check on the system over the ensuing months and when one of the bait boxes was teeming with white ants this was treated to eliminate the nest. We have paid less than a third of the cost of the sentricon system.